The time has come.... actually, in my case it is about five years late for the annual cleaning of The Shop. 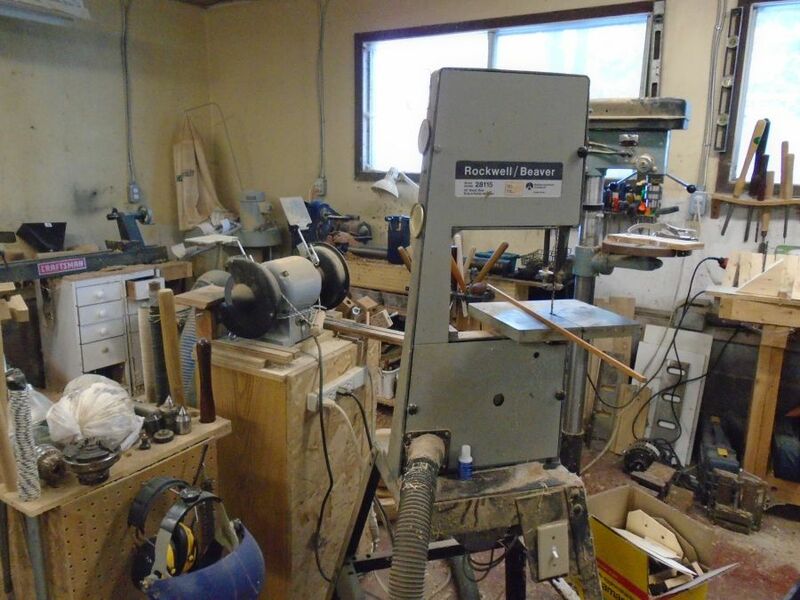 Back when I started turning I had an 11 by 18 room in the basement that I shared with the oil tank for a workshop. That meant that it had an annual cleaning or I could not move in it. That space fit the lathe, workbench, band saw, table saw, and grinder. How I fit in I will never know. If it was not cleaned annually, I did not get in the door. 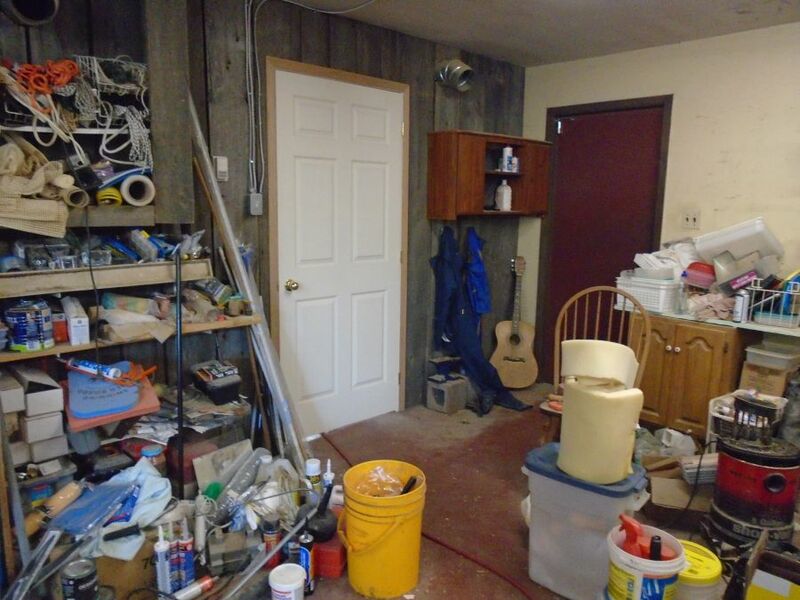 Now the workshop is in a huge, for me, garage and is 23 feet on a side. Regular cleaning or tidying is necessary, but once a year or so it is necessary to give the place a good going over or stuff accumulates. Lately circumstances have made the mess grow in astounding leaps and bounds. However, the raccoons are now out of the rest of the building, ceilings have been replaced, a hole in the wall waits to be patched where the second batch of raccoons was removed, and for the moment we are not in a harried fashion of opening doors and throwing stuff in. Don't ask. So come and see my shop at its worst and I hope its best. I have stood in the middle and taken pictures as I turned around. I will describe some of what you see and how it fits into turning. Also, I do believe although not always practice, that a clean workshop allows for more pleasurable and productive work. It is also a safer place to work and play. As you come in the white door, there is a door to the gardening workshop (I will put out over 600 plants this year not counting bulbs and perennials), a guitar that my father-in-law started to build before he died and I have not completed for sentimental reasons, and a recycled cabinet with stuff on top and inside. Lots of junk and not junk in front of it. Leave comments if you like at Round Opinions.